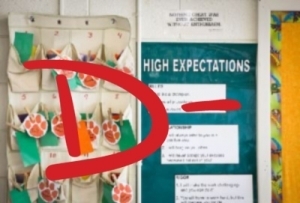 Under House bill 354, student achievement and growth would be given equal weight – 50 percent each — when North Carolina’s controversial school performance grades are determined. Currently, student scores on state exams accounts for 80 percent of a school’s performance grade while growth makes up the other 20 percent. Educators have long argued that a school’s performance grade should be weighted in favor of growth, which measures how much students learn from one year to the next. They believe growth more accurately reflects the quality of teaching and learning occurring in a school. Critics of the current yard stick contend achievement, or proficiency as it’s often called, measures only how well students performed on state exams. Rep. Craig Horn, (R-Union), one of the bill’s primary sponsors said schools that show students growing academically shouldn’t be penalized under the state grading scheme. Horn added that improving academic outcomes for a child who is not motivated, doesn’t care or is facing significant challenges is tough work. “That’s why we think, in this bill, we’re suggesting that growth should have equal weight with performance,” Horn said. Rep. Linda Johnson, (R-Cabarrus), also a committee co-chair, said HB 354 isn’t perfect but the current system needs to be changed to provide a more accurate picture of student achievement. Rep. Donny Lambeth, (R-Forsyth), wanted to know if committee leaders have looked at best practices in other states that hand down letter grades. Brian Gwyn, a member of the Legislative Analysis Division, said that in most states that award school letter grades, growth is either weighted equally or more heavily than student achievement. Separate grades for growth, achievement? The bill received a favorable report from the committee and was referred to the House Rules Committee where it will be considered along with House Bill 266, which would create two separate grades, one for growth and another for proficiency or student achievement. Rep. Dennis Riddell, (R-Alamance), a co-sponsor on HB 266, said growth is underrepresented in the current formula. Riddell said HB 266 would establish a 0-100 grading scale for achievement with a 15 point spread between grades. A second grade for growth would be based on a 0-50 point scale with a 10 point spread between grades. “What this does, it gives the public, it gives parents, it gives teachers, it gives everyone involved in public education in our state a much better picture, a more complete picture of what is actually taking place in a given school,” Riddell said. State Rep. Graig Meyer, (D-Orange), said he appreciates the intent of HB 354 particularly since the State Senate has been unwilling to “budge” on the issue in recent sessions. But Meyer said he believes the House must be more aggressive in its recommendation. “I think that we can be more audacious than changing the formula to 50-50,” Meyer said. He said states with the best grading scales have more complex systems. Meyer said Florida, considered a leader in school grades, has 11 factors in its school-grading scale. “We’re just punishing poverty, but if we can figure out how to use public policy in a grading scale in the way that a state like Florida and other states have to incentive schools to do what we want, we could do a heck of a lot better in North Carolina,” Meyer said, endorsing HB 266 as a good start. The bill received a favorable report and was referred to the House Rules Committee. The committee will decide whether to let the full House vote on the bill. Also, on Tuesday, the committee referred HB 276 to the House Rules Committee. Under the bill, schools that receive a “D” or “F” letter grade would no longer carry the stigma of low-performing if the school meets growth targets. If the bill becomes law, Riddell said there would be fewer schools identified as low-performing. Last year, 476 schools were identified as low-performing schools. The committee ended its busy meeting by backing legislation that would end corporal punishment in North Carolina. Under HB 295, spanking and paddling would be banned in all of the state’s traditional public schools and charters schools. Private schools would still have the option to use corporal punishment. None of the state’s 115 school districts currently use the practice. “What this bill would do is clean up our statues to affirm that fact,” said Rep. Susan Fisher, (D-Buncombe), one of the bill’s primary sponsors.